The City of Summerville Water Pollution Control Plant is strongly committed to conserving our region's limited natural resources and remaining good stewards of the environment. This commitment, along with our ongoing re-investment in our systems and operations, enables the WPCP to keep pace with the area's growing wastewater needs while supporting the natural environment of the region, both present and future. In keeping with our environmental and customer service commitments, We recently (2008) completed construction or improvements to our wastewater facilities. These facilities located off Red Oak Road are making a positive environmental impact on the Chattooga River, while improving our ability to efficiently meet our customers' wastewater treatment requirements. 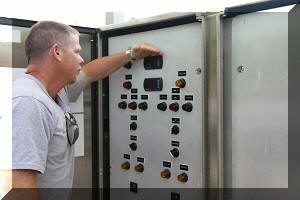 To keep in stride with our customers’ needs, we continue to leverage innovations in technology and processes to maintain a state-of-the-art wastewater operation. 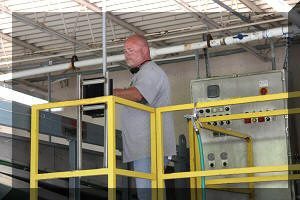 Our wastewater system serves over 1,800 customers processing approximately 1.6 million gallons of wastewater per day on average. Some 80 percent of this waste load is industrial. Current treatment capacity is 2 million gallons per day(MGD).